The golf industry, like many others, is a customer first business. Golf club members expect a certain level of quality when it comes to their interactions with club staff, whether it is the Pro Shop associate, cart barn attendees, or beverage cart attendees. A problem that many golf courses face with their part-time help is high turnover rates, with employees coming and going quite frequently it can be difficult to remain comfortably staffed while maintaining a high standard of quality service for your members. In this blog, we give you our top tips to keep in mind when you post a job to Facebook for your golf course, and a step-by-step guide you can follow to post your first job to Facebook for your golf course! 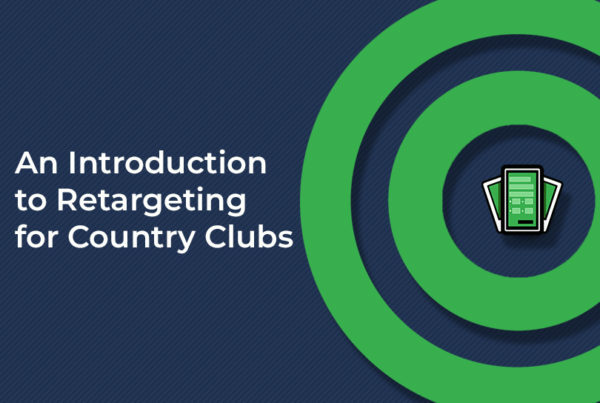 The ability to quickly and effectively find qualified candidates to bring on is an intricate part of maintaining the quality of service that your club has to offer, which is why we created this blog to walk you through how Facebook can help. 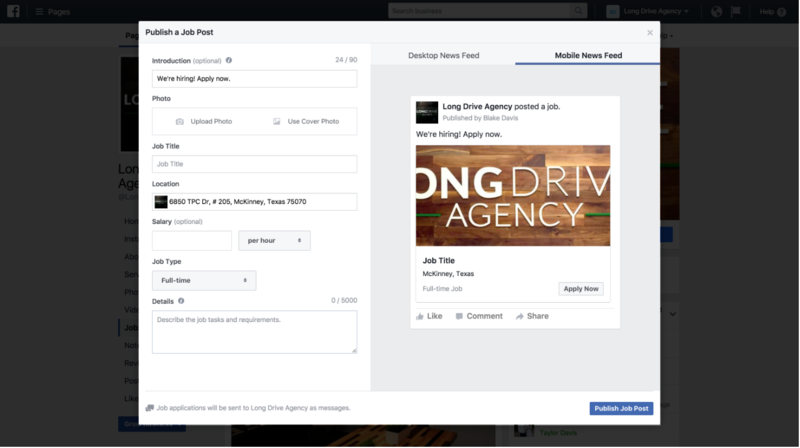 Facebook features a tool that allows businesses to create and publish job postings directly to your company’s page. The feature also allows job seekers to apply directly to the posting without having to leave the social network. 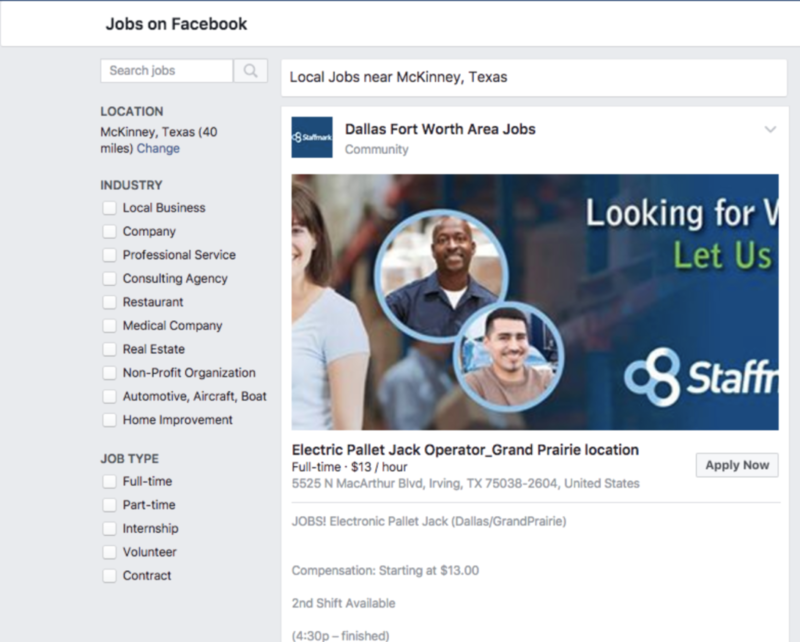 With over 2.2 billion active users, Facebook is the perfect place to post and promote any job openings your club might have. Here are a few tips to help your job posting stand out and a step by step process to walk you through the job posting. An easy tool often used to provide an additional element of persuasion is the use of “yes” questions. “Looking for a rewarding job in the golf industry?” By asking a question that is going to be greeted with an obvious “yes” gets the reader instantly interested in the question at hand. Any that can make your company stand out on a Facebook feed can go along way. Use of graphics to fill the screen rather than long blocks of text can make your job posting stand out from the others. While adding more unique bits of information such an actual employee testimonial can humanize your company. Use of proper position titles is an important part of the process, not only for added legitimacy but it also helps the candidates find you. 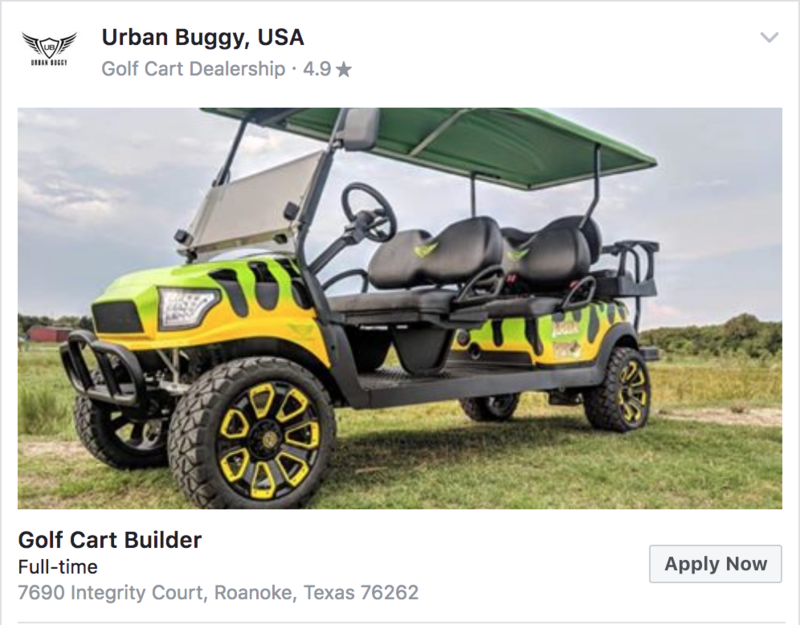 Pro Shop associate, Member Relations Coordinator, Greens Keeper and so on help your posts stand out from the crowd and gives additional information for Facebook to use to ensure your post is seen by the golf community. To create your job post, you’ll first need to access the “Jobs” tab at the top of your Page’s timeline. You should upload a photo or video, enter a job title and thoroughly describe the position you’re hoping to fill. You should also consider adding the job’s location and potential salary. 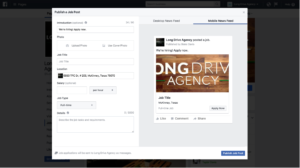 Facebook allows you to customize how you would like to receive the job applications, either by email or through your Page’s messages inbox. If you prefer to receive the applications through email, scroll to the bottom of the page and enter your email address below ‘Receive applications by email. Before you make this job post live, in the right column, you can click Desktop News Feed or Mobile News Feed to see what your job post will look like on both desktop computers and mobile devices. You’ll want to check and double check that all the information you entered is correct to ensure your post appears credible and mistake free. Take a deep breath, and click ‘Publish Job Post.’ But keep in mind that it will not be posted right away. Facebook must first verify the information to ensure the job posting and your company are legitimate. Instead, you’ll get a notification informing you that your job post is under review. After everything is approved, it will then be posted live on Facebook within 24 hours of approval. If you would like assistance with online marketing, graphic design or consulting, don’t hesitate to get in touch with Long Drive Agency today!